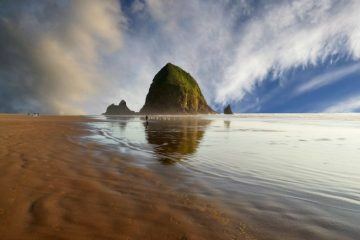 Having trouble keeping your things organized when you travel? If so, we’ve found the very best travel toiletry bags to help keep you organized while on the road. Like many of you, we always have packing cubes and a great laptop backpack to keep our important stuff like clothes and electronics together, but it’s easy to forget smaller things like toiletries when you pack. If you don’t have a good toiletry bag to store your cosmetics or shaving kit in, you’re just asking for headaches. 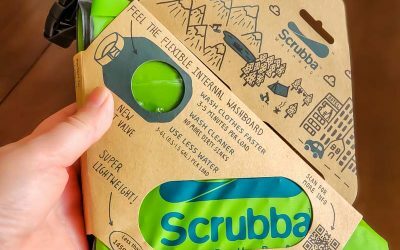 A good toiletry bag can help keep everything in one place, and also keep those inevitable spills contained whether you’re going on a short beach vacation, or a year long trip backpacking the world. Interested in only a specific section? Click one of the links below to jump to the toiletry bag review section you want. When you’re looking into a new toiletry bag, there are numerous features you need to think about. 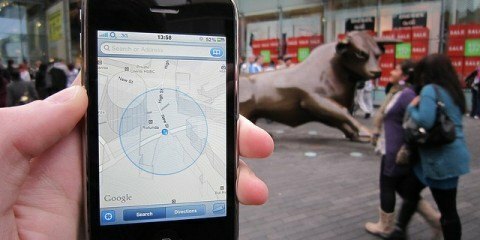 Not only is it going to be pulled out every morning and night but it has to work with your travel lifestyle. Here’s a few things to look for when comparing and reviewing toiletry bags. 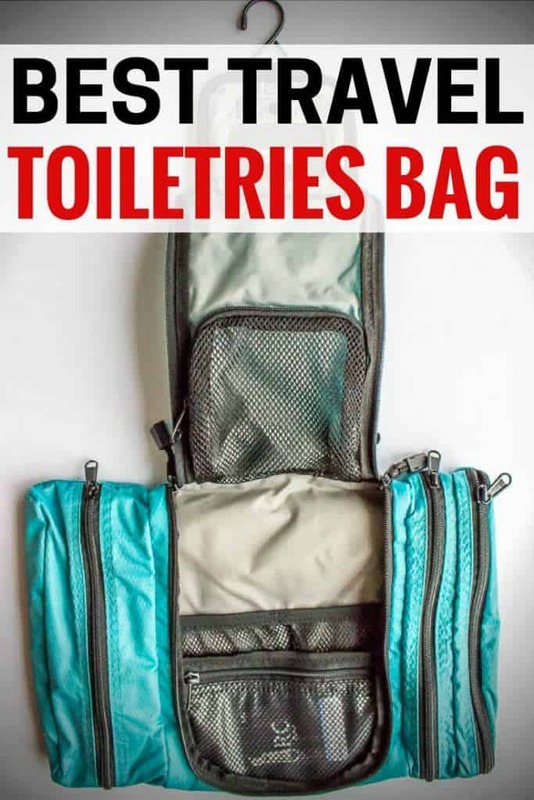 Hanging toiletry bags are fantastic, because they’re almost always designed so that you can easily see what’s inside, and access all of the compartments once hung. This means that you don’t need to pack and repack your bag, saving time and hassle. They do require a place to hung from however most bathrooms have towel racks or hangers behind the door. The nice part is they don’t require a big counter to sit on and you don’t have to worry about them getting wet while sitting there. That said, they can be awkward to deal with if you can’t hang them properly. Even if you pack carefully, it’s almost inevitable something will eventually spill in your kit. Bags with plastic lining are the best to clean, and bags that dry quickly after cleaning are a great choice as well. 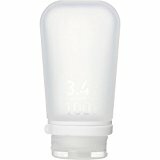 If you’re using a carry-on, getting some refillable silicone bottles like the new 100ml humangear GoToob+ Travel Bottle with Locking Cap is a great idea. Since the TSA requires travelers to pack all liquids in a resealable plastic bag, I make sure my 3-1-1 resealable quart size plastic bag can easily fit inside my travel toiletry kit. That way, it’s a breeze to pre-pack the plastic bag, put the bag in my toiletry kit, and just pull out the plastic bag when going through security screening. Toiletry bags hold an interesting array of things, from tweezers, razors and scissors to shampoo, perfume and lotions. They can also hold medication and toothbrushes so it’s handy to have plenty of little compartments to keep this all organized. From leather and plastic to waterproof canvas, choosing the right fabric for your toiletry bag kit will ensure it lives up to your lifestyle. While leather looks great and is durable, it may get damaged if it gets wet. 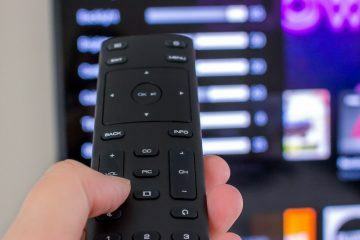 Conversely, some plastics fade or tear with age though are great to clean while canvas style fabrics are great for durability but may fail in the cleaning department. The trick is to match your bag fabric to your lifestyle. If you’re an ultralight backpacker, you’ll want a small toiletry bag, while a large toiletry bag would be a great fit if you carry a lot of makeup or grooming products and tend to check your bags thereby space isn’t a premium. The best travel cosmetic bag is a pretty individual choice. It depends a lot on your style and how many toiletries and accessories, like curling irons, you carry in your vanity bag. We’ve found what we think are the best women travel toiletry bags, though (of course!) men may love them too. They’re all water resistant on the outside, large enough to carry plenty of makeup and accessories, and all work well for travel. We’ve picked the very best travel toiletry bags for women, including the train case, clutch, pouch, bucket or barrel, and hanging bag. 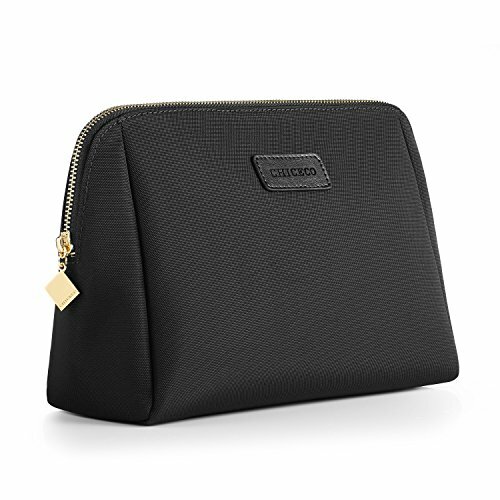 The CHICECO Large Makeup Bag is a cute, large stylish clutch style travel makeup toiletry bag, with a gold color zipper that comes in several colors, including black, dark purple, grey, pink, and turquoise. The outside is waterproof and easy to clean, though the lining is made of a non water repellent fabric. If something spills inside, you will need to wash the bag. 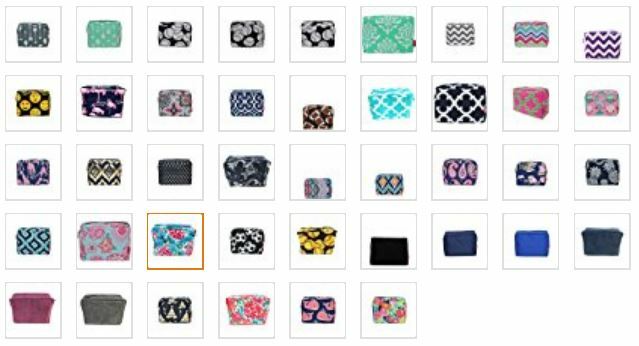 It’s one of the larger travel cosmetic bags at 10″x 7″x 4″. There’s plenty of room inside for your many liquids, hairbrushes, makeup, and more. It’s even large enough to fit an iPad Air in. Inside, there’s a zippered pocket (perfect for small items like tweezers and eyeliner pencil sharpeners) as well as a couple of smaller pockets for small items like lipstick. The zippered ROWNYEON Train Case bag is waterproof, with a spill proof interior, and it comes in black, blue and pink. The inside is packed with adjustable dividers that are perfect for creating a custom design to protect your cosmetics and perfumes, plus a top brush holder with a zippered pocket. There’s a hand strap, and large sized at 10.2″ x 9.1″x 3.5″. It’s a fantastic choice for someone with a boatload of toiletries, as it keeps them organized and neat on the road. 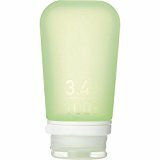 We’ve included this in the ladies’ travel toiletry bags section, but it could easily be used for men’s toiletries and a shaving kit. 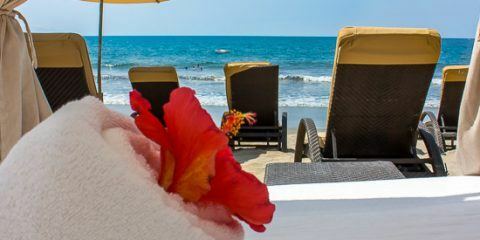 Click here to see price and more. 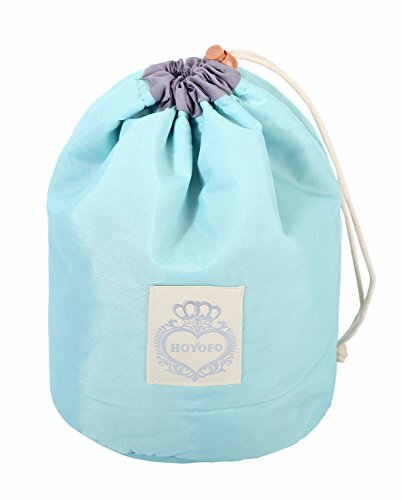 If you like bucket bags, the HOYOFO Barrel toiletry bag is a great choice. It comes in blue or pink, and it’s washable with a waterproof coating. 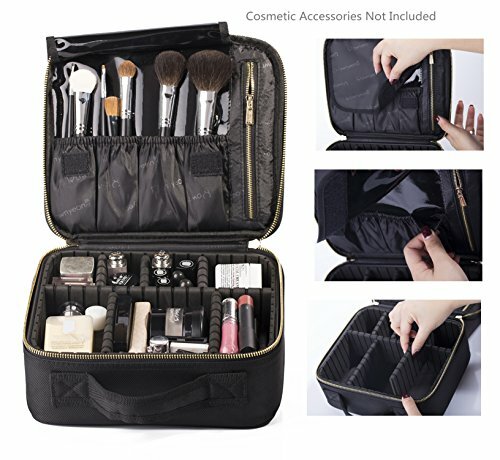 This bathroom bag itself is 6.7″ x 9.1″ and also comes with a matching mini zipper storage bag (5.5″ x 3.1″) and a plastic pouch for makeup brushes. There’a drawstring closure, with three mesh pockets inside. Click to see prices and more. If you’re looking for a cute, stylish cosmetic travel toiletry bag for women, the N. Gil cosmetic pouch should fit. 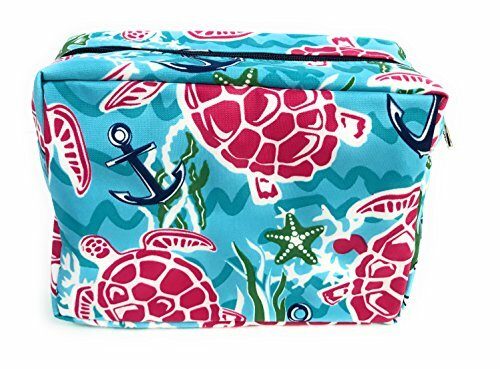 This bag’s biggest advantage is the 3 dozen plus colors and patterns it comes in, with everything from sea turtle aqua red (pictured below) to arrow mint green, purple chevron, pig navy blue, kaleidoscope zebra, flamingo navy, and a lot more. If you are a unique individual, this bag has your name all over it. 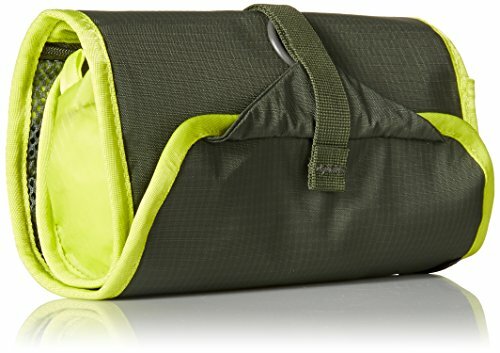 The exterior of the N. Gil Cosmetic pouch is water resistant, with a zip top and foam padding, and the interior of this travel toiletry case is lined. The bag is 8.5″ x 6.5″ x 3.8″. 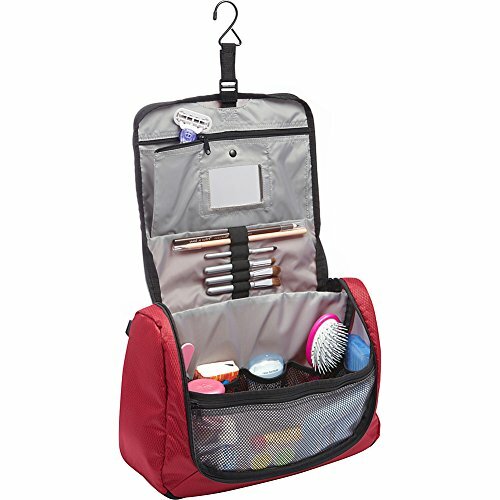 For the best women’s hanging travel toiletry bag, check out our pick below, the eBags Pack it Flat Toiletry kit hanging cosmetics bag. Sometimes, hanging your toiletry bag up on a hook is a great way to keep your toiletries organized, easy to access and out of the way of precious sink space. We’ve rated our favorite hanging toiletry kits below. 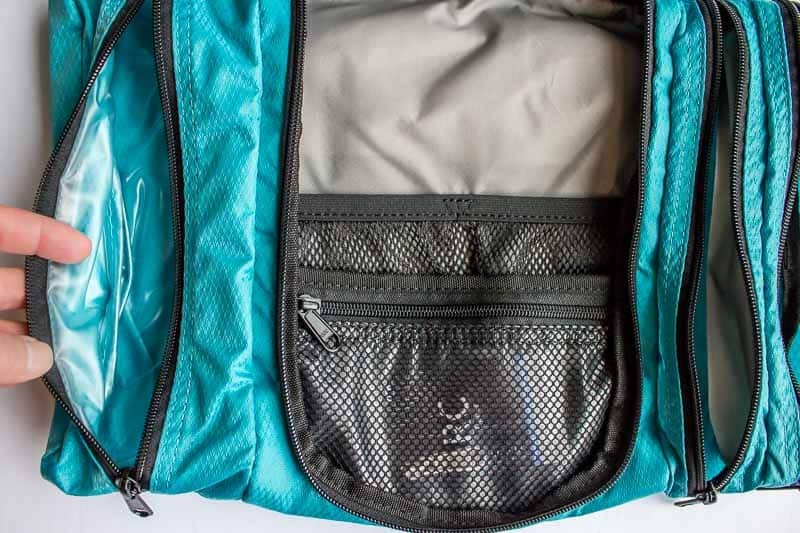 The eBags Pack it Flat Toiletry kit is one of our favorites on the list. When we first got it, it looked so flat that I wondered how we’d manage to put all of our stuff inside. No worries though, this eBags kit can hold an awful lot, but still remain fairly compact. Because it folds up neatly and packs flat, it fits easily into almost any kind of luggage, from carry-on, to checked bags, to backpacks or even a day bag. It comes in colors that include aquamarine (like ours below), black, canary, denim, eggplant, grasshopper, raspberry and titanium. 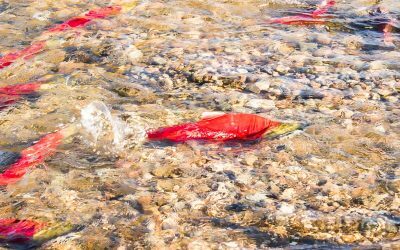 The bag is water resistant and easy to clean, and measures 2.2 x 14 x 9.25 inches. There are three compartments of 2.25″ x 9.25, and the center section is 7.75″ wide by 9.25″ tall. This is one a bag that can easily be used by men or women, and we even use it as a family of four (though we have to keep our four large electric toothbrushes elsewhere). You can store one or two Sonicare or other electronic toothbrushes inside, as long as you remove the heads. One feature that I really love is the removable pocket mirror, as I don’t normally travel with one. 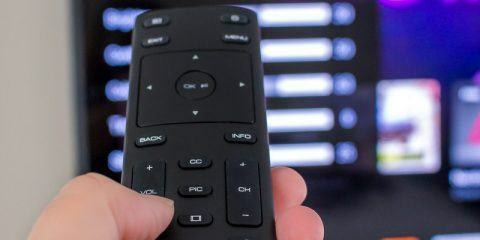 Click to check prices and more here. 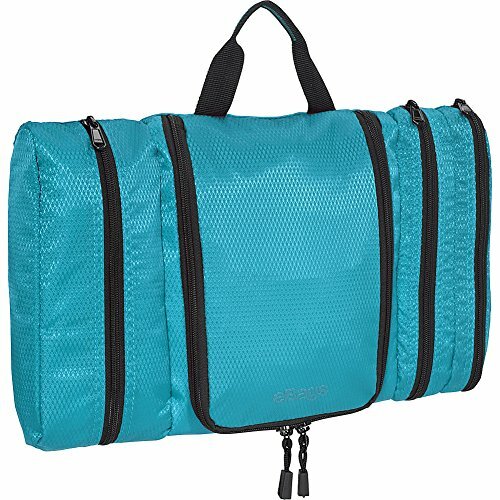 If you’re looking for the best travel hanging toiletry bag in regards to size, check out the large eBags Portage Toiletry Kit. It measures 5.2″ x 13.5″ x 8.5″, and unlike it’s smaller sibling, it also stands up as well as hangs. This would be a good family size toiletry bag for a family that shares one bag for all their toiletries. As you can probably guess, it can hold a lot of toiletries. The hanging Travelon toiletry bag is another option if you’re looking for a even larger option. It’s 7.5″ x 13.2″ x 9.5 inches, and folds into a neat cube. 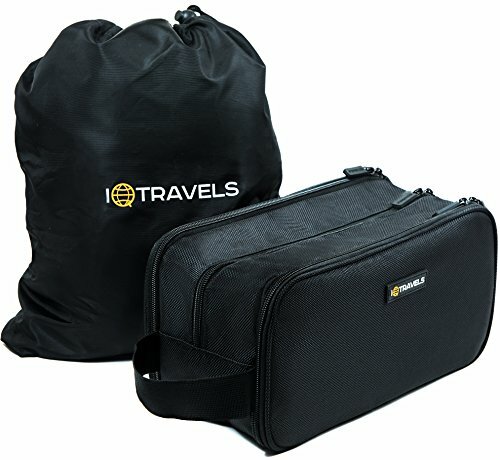 See prices and information for the Travelon bag here. If you’re looking for a leather hanging toiletry bag, just check out the Vetelli Hanging Toiletry Bag, below. While (of course!) men can use any bag in our list, there are a few that are designed specifically for men’s travel kit shaving and grooming needs. These are our top picks in mens travel toiletry bags. Of course, women are free to use these bags as well. 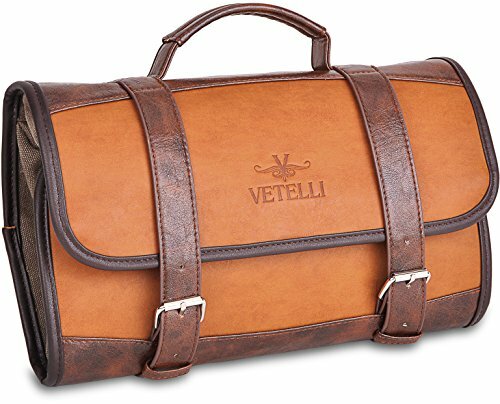 If you’re looking for a stylish leather hanging toiletry bag designed for men, the Vetelli Hanging Toiletry Bag is our pick. This leather travel toiletry bag gets stellar ratings, and has a luxurious look. It’s made of high grade PU leather, which is easy to clean and water resistant, with an interior of PU leather and a canvas lining. The bag is designed to hang or lay flat, with four interior pockets (two large, and two small). When unfolded, it’s a large travel toiletry bag at 20.9″ x 12″, and it’s 8″ x 12″ when folded closed. 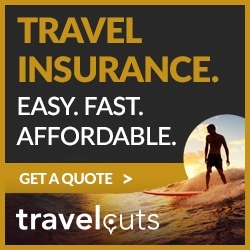 The IQTravels Dopp Kit for men is a good size, at 12″ x 5″ x 5″. It has a large center pocket, with tow medium pockets on the side. The pockets fold out flat, like wings, for easy access. The design is flexible enough that you can use it as a toiletry bag, a travel storage organizer, shaving kit bag, shaving dopp kit, or makeup bag. The dopp kit itself isn’t waterproof, but it comes with a waterproof bag for your liquids. The waterproof bag is large enough you can even use it to hold a pair of shoes, or a change of clothes. 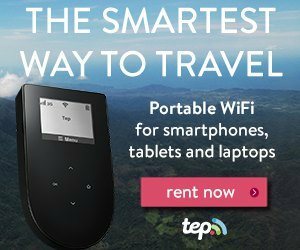 It also includes two free e-books: Hack your Way to Better Travel and RV LIVING: The Ultimate Beginners Guide. See prices and more details here now. There are a lot of clear toiletry bags for air travel. They’re all great at making items easy to see and access. However, not all of them are small enough to be TSA compliant. There’s definitely something so nice about being able to pack your liquids in one bag and leave them there for the duration of your trip, including trips through airport security! The best toiletry bag for carry on definitely needs to be TSA compliant. The kit that I’ve traveled with for years is a clear bag that I chose because it’s clear and easy to access. Unfortunately, it’s not small enough to be TSA compliant, meaning I have to carry my liquids inside a separate plastic Zip-lock style bag inside. What does TSA compliant mean? This means that the bag is compliant the the TSA’s 3-1-1 liquids rule, meaning that it’s a quart or litre in size, resealable, and clear. According to the TSA’s website, “You are allowed to bring a quart-sized bag of liquids, aerosols, gels, creams and pastes through the checkpoint. These are limited to 3.4 ounces (100 milliliters) or less per item. This is also known as the 3-1-1 liquids rule.” Any liquids over 3.4 ounces need to be carried in checked baggage. Tip: What a lot of people do is take a quart size TSA compliant clear toiletry bag, and use it to store their liquids. They store other (non-liquid) toiletries and accessories, like hair brushes and tweezers, in another bag. I’ve been eyeing up the best TSA toiletry bag for my carry on. There are quite a few that meet the grade, but these are my favorites. 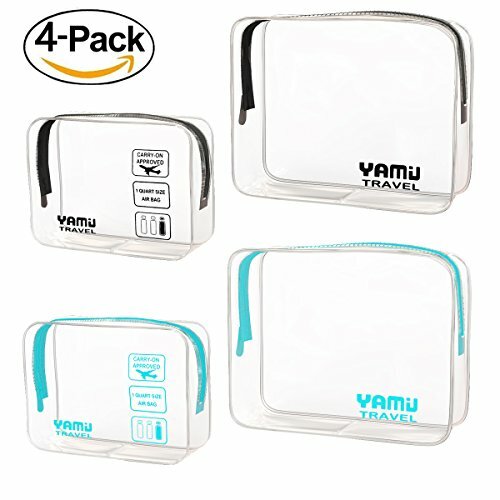 The YAMIU toiletry bag is a quart sized, clear, resealable bag that’s TSA compliant with the 3-1-1 toiletries rule. It’s a great value if you’re looking for more than one bag, or for couples or a family. This bag is waterproof, comes with two sizes, with two of each size, so you get four bags in total. 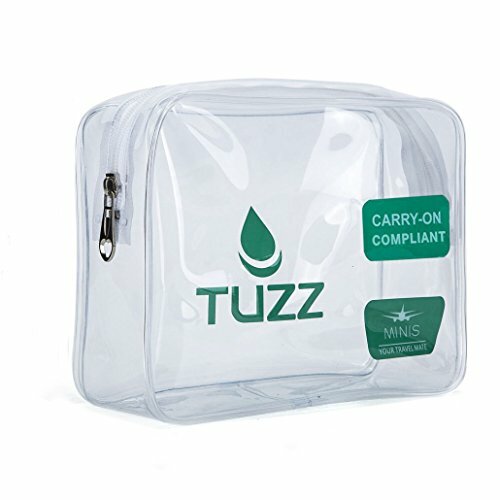 The TUZZ carry-on bag is a quart size bag that’s compliant the the TSA’s 3-1-1 liquids rule, meaning that it’s a quart in size, clear, and resealable. 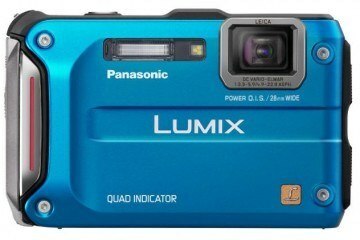 It’s 7.8 x 2.5 x 6.3 inches, and weighs only 1.6 ounces. The TUZZ is made of PVC, making it waterproof (though big spills of liquids may leak through the zipper). Designs on the outside of the bag are printed on, and can’t be removed. While we love the eBags Pack it Flat Toiletry kit, for backpacking, at 11.2 ounces it’s a little heavier than some backpackers would want. A great, lighter alternative, is the Osprey UltraLight Roll Organizer. The Osprey UltraLight Roll Organizer is just like the name implies, a compact and lightweight choice for backpackers. 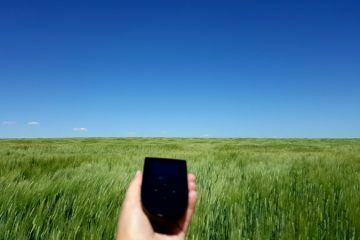 It weighs only 4.5 ounces, and measures 6″ x 3″ x 9″, making it easy to squeeze into a backpack or carry-on. It’s made of washable and water resistant nylon, and it comes with a hook for hanging, plus a little mirror. 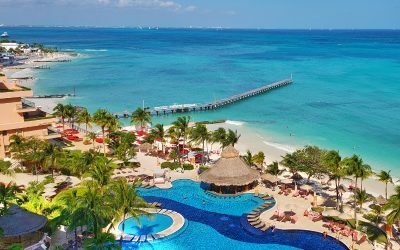 Click here to see current prices. No matter which toiletry bag kit you choose on this list, you can’t go wrong. Each offers something great from size to options to style. We’ve owned several different kinds over the years and our choice of toiletry bags have changed as our needs have changed. Since we now travel as a family of four, we need ones that are a little bigger to hold both ours and the kids toiletries. Half the time they’re also full of hotel shampoos and soaps (we unofficially collect them) as well as our usual assortment of toiletries. We loved the idea of hanging toiletry bags and were jealous anytime we saw others using one so we’re excited to have our new eBags one. Coupled with Charles’ Dopp Kit, we should be golden until the kids are big enough to need their own. 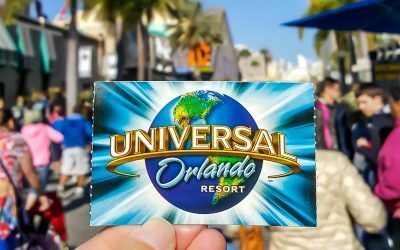 Interested in some of our other popular travel essentials reviews? If you’re looking for the perfect laptop backpack click here. 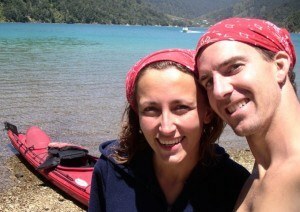 Wondering if packing cubes are for you, click here here to see why we like them. Always wanted a little more security and can’t decide between a money belt or neck wallet? Click here to read our lengthy review of them. Trying to decide if you can travel with only carry-on bags. We did it as a family of four for over 3 months without a problem. You can see it here. Looking for a little more room to store things on the plane, check out my review of my favorite travel jacket ever, the SCOTTeVEST Chloe Glow Hoodie here. So, do you have a favorite toiletry bag we missed? Let us know! You can find a bag similar to the one in this image on Etsy here. What a fantastic list of bags, we love the ebags one as it is very practical if not a little boring. The N. Gil Large Travel Cosmetic Pouch Bag looks gorgeous and I love the print.